Elgin Baylor Lumpkin was born on 15th October 1970, in Washington, D.C. USA. He is a singer- songwriter well known under his stage name Ginuwine. More, he is a talented dancer and actor, and all the above-revealed talents have added to the overall amount of Ginuwine’s net worth. He made his debut in the entertainment industry in 1994 and is active up to date. How rich is Ginuwine? Authoritative sources report that the total size of Ginuwine’s net worth is as much as $5 million, as of mid-2016, with the main source of his wealth being music. Giving some background information about the performer, he was raised in Washington D.C., and was educated at Forestville High School, then graduating with a degree in paralegal studies from Prince George’s Community College. In the middle of the 1990s, Ginuwine signed a contract with Epic Records, and pursued a career as an R&B singer. Up to date, he has released 29 singles, seven studio albums, 27 music videos, a compilation album and video album. All those releases among which are multi-platinum, platinum and gold selling singles and albums, have added sums to Ginuwine’s net worth. Concerning the studio albums, the debut one entitled “Ginuwine…the Bachelor” (1996) peaked at 26th position on Billboard 200 in USA and received two platinum certifications from sales in USA, and gold in Canada. Of course this success boosted his net worth considerably. The second studio album “100% Ginuwine” (1999) featuring the hit singles “Same Ol’ G” (1998), “So Anxious” (1999) and “What’s So Different” (1999), was the best album released by Ginuwine so far, as the album managed to reach fifth position on the Billboard 200 and second position on the Billboard R&B charts. More, the album was certified platinum twice in USA, and so his net worth again rose. The third album “The Life” (2001) includes the song “Two Reasons I Cry”, which is dedicated to the performers parents who passed away in 2000. His mother died of cancer and his father killed himself. This album respectively peaked at third and second positions on the aforementioned charts, and was certified platinum. The fourth album “The Senior” (2003) topped the Billboard R&B charts and received gold certification. Although the following albums “Back II da Basics” (2005), “A Man’s Thoughts” (2009) and “Elgin” (2011) didn’t get certifications for the sales, they reached third, first and seventh positions respectively on the Billboard R&B charts in USA. Moreover, Ginuwine is a founding member of the R&B band TGT: the letters stands for the performers Tyrese Gibson, Ginuwine and Tank. The band’s debut album named “Three Kings” (2013) received a nomination for a Grammy Award, and topped the R&B chart in USA. Of course, the involvement into the band helps to increase Ginuwine‘s net worth as well as his popularity. 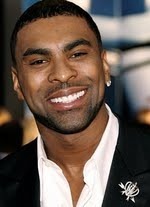 Additionally, as an actor Ginuwine has added to his net worth. He has appeared in the feature films ‘‘Juwanna Mann“ (2002) directed by Jesse Vaughan,‘‘You Got Served“ (2004) directed by Chris Stokes, and the television series‘‘Moesha“ (2000) created by Ralph Farquhar, Sara V. Finney and Vida Spears. In his personal life, Ginuwine was married to a rapper Solé (Tonya M. Johnston) from 2003 to 2014, and together they have two daugthers. However, Ginuwine has openly acknowledged to having fathered eight children, up to date. Children Story Asaundra Lumpkin, Kayah Lumpkin, Dream Sarae Lumpkin, Ginel Lumpkin, Elgin Lumpkin Jr.
4 In the very beginning of his career Ginuwine used to go by the name of Tornado. 5 Has a brother, James III, and a sister, Latisha. 6 Lost both parents (Sandra: cancer, James II: suicide) within a year. 7 Graduated from Prince George Community College, where he received a paralegal degree. 8 Children: Elgin Jr., Ginel, Kayah, Story and Dream. 10 He was inspired by Michael Jackson to become an R&B star. He began his music career in the late 1980s with an amateur hip-hop group called Finesse Five and then sung for a local band called Physical Wonder. He was discovered by a member of Jodeci, and in 1996 he made his debut as Ginuwine, a name chosen because he considers himself down-to-earth. His first album for 550 Music, Ginuwine...the Bachelor, was produced by Timbaland. Ginuwine...the Bachelor reached double platinum status thanks to the No. 1 R & B single "Pony." In 1999 he followed up with the melodramatic 100% Ginuwine, also produced by Timbaland, which includes a cover of the Michael Jackson ballad "She's Out of My Life." Dark Rising: Bring Your Battle Axe 2007 Video performer: "Pressure"
Deliver Us from Eva 2003 performer: "Excuses" / writer: "Excuses"
Juwanna Mann 2002 performer: "Star Spangled Banner"
Down to Earth 2001 performer: "Can You Tell It's Me"
The Best Man 1999 performer: "The Best Man I Can Be"